Are you afraid of computer hackers stealing your credit card information? 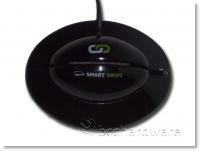 Well have no fear with the SmartSwipe magnetic strip reader. With the Smart Swipe, you'll never have to enter your credit card pin number into your computer or worry about viruses, spyware and hackers getting a hold of your personal information while shopping or paying bills online. SmartSwipe is the new, smarter, more secure way to shop online. 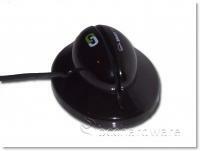 The SmartSwipe by NetSecure Technologies is the world’s first truly secure personal credit card reader. 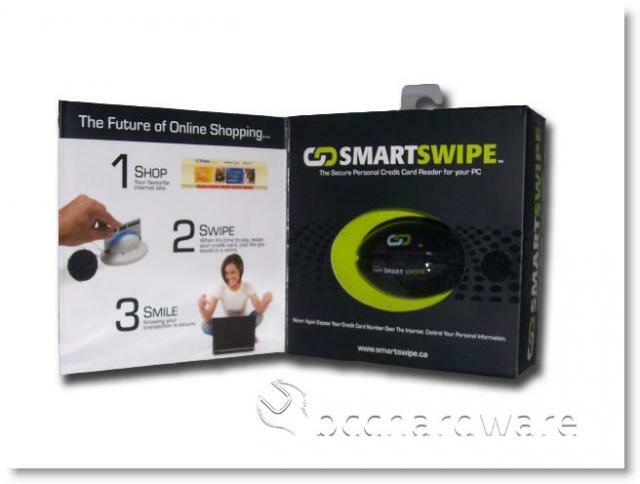 When you install SmartSwipe, you can swipe your credit card at your home or office computer just like you would in a store. 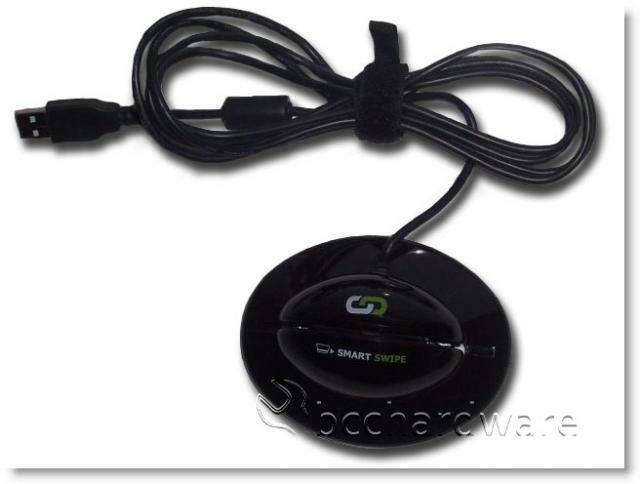 Plug the SmartSwipe into your computer’s USB port, go shopping to your favourite online stores and swipe your credit card – it is that easy. The best part is that you know your credit card information is safe and secure. After removing the Smart Swipe from the easy to open box, the first thing I noticed was that there is no driver disk. You must go to www.smartswipe.ca/downloads to download and install the driver. The Smart Swipe device itself is small and lightweight making it easy to bring anywhere and use. Also the base is detachable making it about the size and shape of an egg. The glossy black finish and cool blue LED's` of the Smart Swipe will look great on your desk and make a fine addition to your pc or laptop gadget collection. After downloading and installing the driver (62.2 or 38.3 megs depending on if you are using 64 or 32 bit version of windows) from www.smartswipe.ca/downloads, restart your computer and you are ready to go. Unfortunately it seems that Smart Swipe is only compatible with Internet Explorer which i rarely use. When you open Internet Explorer after restarting you will notice a Smart Swipe button in the toolbar. When you are ready to checkout after shopping from your favorite online store simply click the Smart Swipe button, swipe your credit card and your transaction is complete. On the next page we'll talk a little about the idea behind this and draw some conclusions.